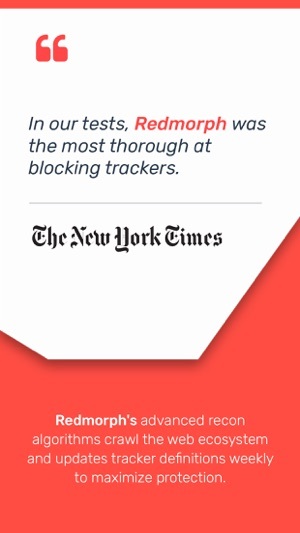 Redmorph - The Ultimate Privacy Solution for the iOS Safari browser. We believe you should have the same right to privacy online as you do in real life. We think you may agree but are bothered by the lack of options to see who is tracking you, what information they are gathering, and how you can control that. That is why we created Redmorph. 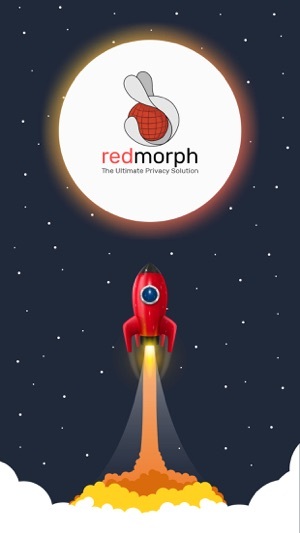 In addition to comprehensive privacy protection, Redmorph provides significant data usage savings, extended battery life, faster page loads and better device performance. It is simple to install and gives you the option to “set it and forget it” or to customize your privacy settings to your preferences. Websites you browse on the device have the ability to track users (browsing history, GPS, mic, app usage, etc.) and take private data such as device information, call/IM logs, photos/videos/files, contact book details, app data, etc. Redmorph allows the user to personalize their privacy protection. As a result, data usage and CPU utilization is significantly reduced. In order to meet the requirements of a wide range of users, Redmorph can be used in two protection levels – standard and advanced. 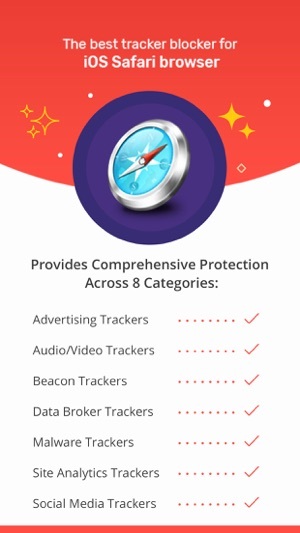 In advanced protection level, we provide the maximum protection from trackers, 3rd party content, analytics, beacons, video/audio trackers, ad-trackers, social media trackers, etc. In standard protection level, we lower the protection level to help improve page load performance of certain websites that require a tracker before content is loaded. You could also whitelist a page directly while in Safari by clicking the bottom menu and adding the website to the Redmorph whitelist. Please consider this option carefully as we will not block anything on whitelisted websites. 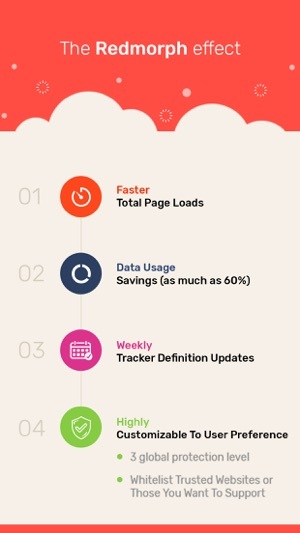 Weekly tracker definition updates are automatically downloaded to the app. We use our state-of-the-art web crawling technology that uses machine learning and artificial intelligence to monitor the ever-changing ecosystems behind websites and apps. Redmorph does not track, monitor or log users and is committed to full transparency. 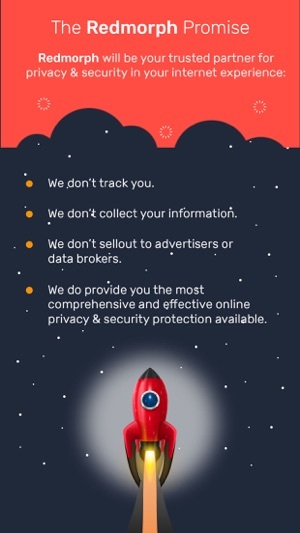 Our mission is to provide the most comprehensive and effective anti-tracking solution available and provide our users an internet experience with full control, protection & privacy. Amazing Protection! Does the Job! It’s amazing how well this app is designed and functions. Some apps look good, but this app has a really nice minimalistic look and actually does the job. Privacy and security is a necessity in these days of internet as it gets more and more difficult to have any kind of true security and privacy. This app certainly provides that peace of mind. You set it and forget it. And to customize a whitelist is just as simple. Amazing job by the developers. I look forward to the continued use of this application and I believe other users who try this app will do the same. 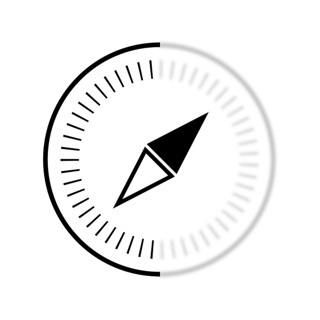 This app was originally released as an Extension for Safari on macOS! It's one of my most reliable sources of keeping me secure on the Internet! Now that they brought it to iOS, it's a real game changer now! Makes me wonder why they did not bring this to iOS to begin with! I needed it!! Online privacy is of utmost importance in this internet driver world. Overall the app is awesomely designed in terms of usability. It does the job too.